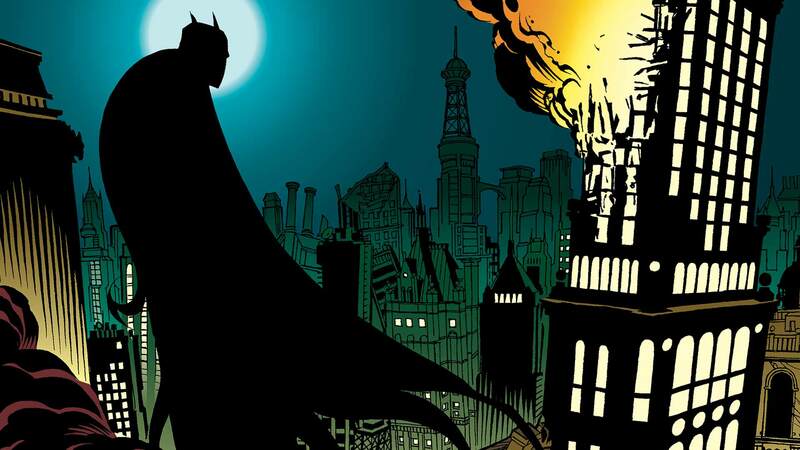 Here’s one that’s hard to get your head around: It’s been about 20 years since the influential Batman event No Man’s Land shook Gotham, its denizens – and its fans – to their very foundation. In an era of can-you-top-this crossovers, the concept of an earthquake-ravaged Gotham City cut off from the rest of the world was pretty daring: Ordinarily, a story like this would be an Elseworlds-style saga told in relatively short order. Instead, DC Comics set about remaking Batman’s world from the ground up in a way that had never been done before – for good or bad. The storyline and its preludes stretched through all the Bat-titles – and beyond – and lasted for well over a year, with ramifications felt long after. 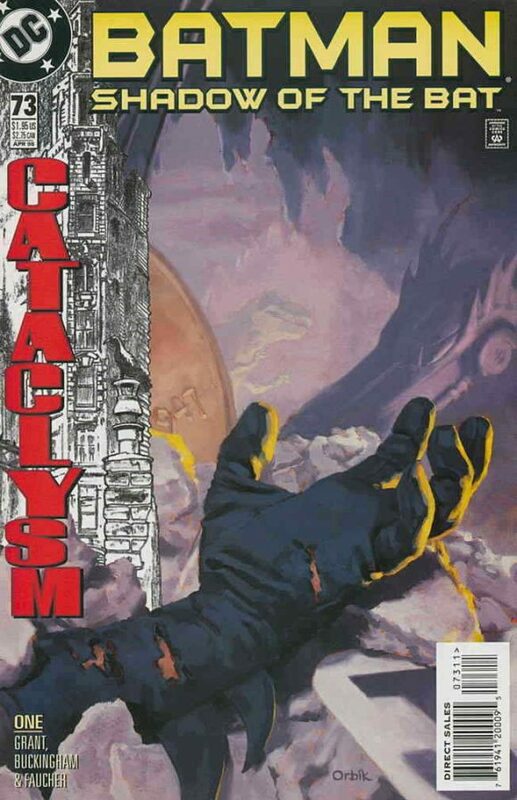 The history of the event – which began with 1998’s Cataclysm crossover – is laid out in American Comic Book Chronicles: The 1990s, by Jason Sacks and Keith Dallas. 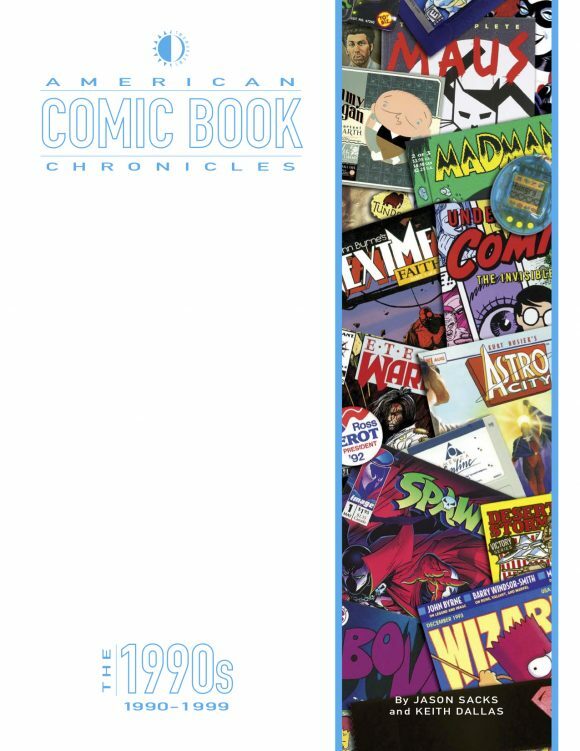 The heavily illustrated and researched book is the latest volume in TwoMorrows’ series of hardcovers that detail the world of comics, decade-by-decade, starting in the ’50s. (Click here for more details). In this EXCLUSIVE excerpt, Sacks and Dallas take a look at the roots of the Batman epic that helped inspire central elements of The Dark Knight Rises, Arkham City and the TV show Gotham. Keep in mind, this is one small fraction of a remarkably detailed, in-depth look at the entire decade, so by all means check out the book, which is due in comics shops 12/5. In Shadow of the Bat #73 (April 1998), an earthquake measuring 7.6 on the Richter scale centers on Wayne Manor, destroying both it and the Batcave. Batman must swim blindly through an underground river to escape his family home, and when he finally emerges in Gotham Harbor, he discovers the unimaginable: The earthquake has completely levelled Gotham City. Thus begins the 16-part Cataclysm crossover, and as the saga unfolds, the writers and artists of Batman, Shadow of the Bat, Detective Comics, Catwoman, Robin, Azrael, Nightwing and three one-shot specials show how the Batman family of heroes ally themselves with first responders to deal with the crisis and save ordinary people from the terrible calamity. But even with Oracle at the center of the crisis management team, many of the heroes’ efforts are in vain. As Cataclysm moves into its sequel crossover Aftershock, the heroes learn to deal with their failures and the fact that no super-villain is responsible for the catastrophe (despite a blackmail threat by the Ventriloquist, who tries to extort $100 million from Gotham by masquerading as the Quakemaster). Appearances by Poison Ivy, Killer Croc and the Joker are mere sideshows for the deep despair that hits Gotham in the wake of the disaster. With the city dealing with the daunting complexity of recovery, citizens find themselves facing trials few humans can long endure. Gotham has no electricity or fresh water. All businesses and schools are closed. Rats and wild dogs overrun the city while violence soars. No surprise, then, that millions of Gothamites choose to flee their homes and become refugees. However, even their simple decision to abandon their shattered city has tragic consequences, as massive amounts of foot traffic causes one of Gotham’s bridges to collapse in Batman #559 (Oct. 1998), appropriately titled Dead City. Gotham City quickly becomes a no man’s land. As Bruce Wayne goes to Washington at the end of the year to seek money from Congress to rebuild the city, he faces bipartisan opposition with polls showing that 82 percent of Americans don’t want to spend the trillion dollars necessary to rebuild Gotham (70 percent even favor another earthquake). Decisions made at the end of Wayne’s Washington trip would set up a memorable Batman crossover in 1999. Gotham City had suffered cataclysms in its long history, but nothing prepared the citizens of Batman’s home town for the earthquake that struck in 1998. Even worse was the quake’s aftermath. 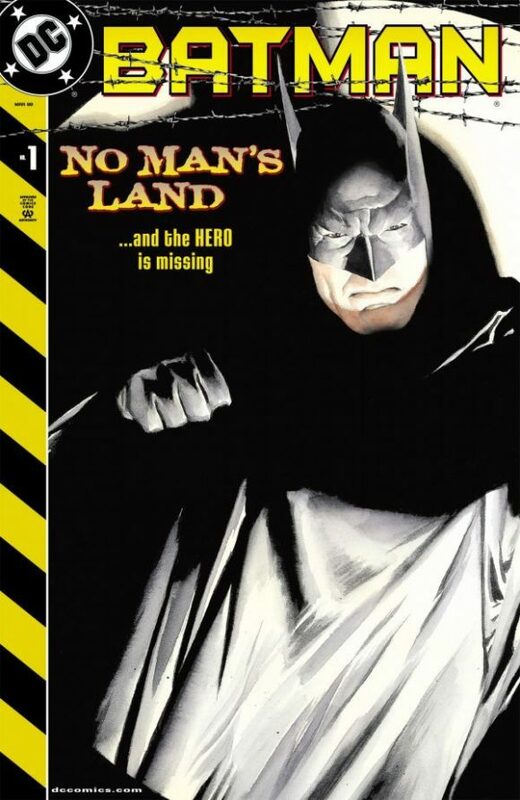 As described in the No Man’s Land one-shot (March 1999), by writer Bob Gale and artist Alex Maleev, the formerly civilized city gave way to anarchy. Prior to this storyline, Bruce Wayne failed to persuade the U.S. Congress to fund the restoration of his beloved city. Instead, the federal government chose to cordon off Gotham, forbidding anybody from entering or leaving. To do so, the government blew up all the bridges and tunnels into the city and made Gotham a true “No Man’s Land.” As the epic storyline kicks off, the military has surrounded Gotham’s perimeter. The city has no fresh food, no clean water supply and no working police department, other than a rogue team of police officers. 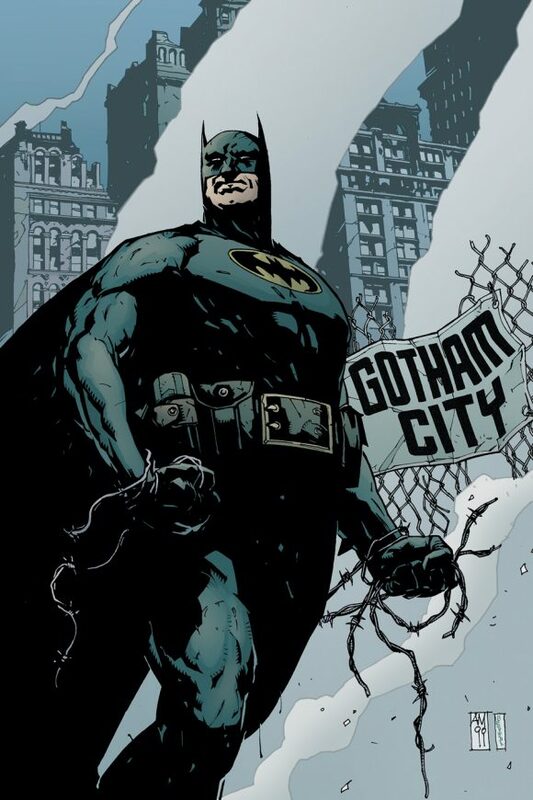 Gotham’s only inhabitants are the poor, those who were too stubborn to abandon their homes, and the criminals. Batman has been missing for 93 days as whole sections of Gotham are now controlled by some of his most vicious enemies, such as the Penguin, Two-Face and Poison Ivy. Territories have been marked with spray paint, but as the issue ends, a caped figure spray-paints the bat symbol on walls across the city. 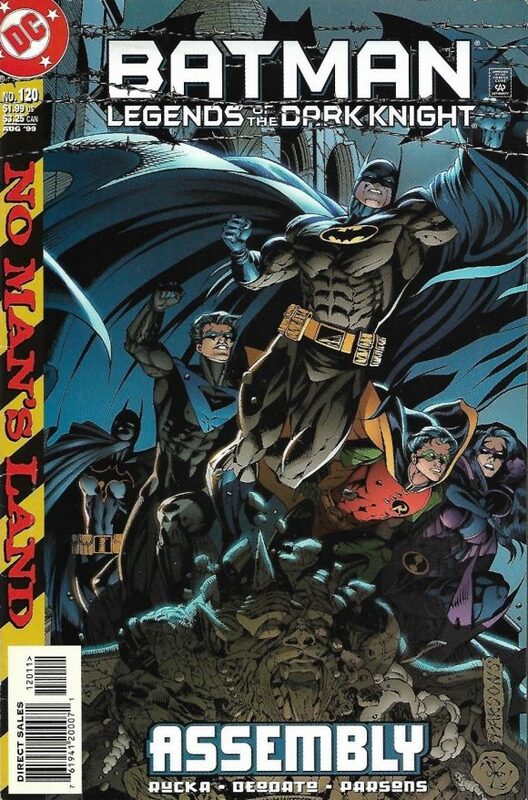 No Man’s Land continued into several overlapping storylines that encompassed Batman, Detective Comics, Legends of the Dark Knight and Shadow of the Bat. Batman returns to his hometown, but his beloved Gotham is different from anything he had ever expected to encounter. Wayne Mansion was destroyed in the earthquake, along with the Batcave. Though Batman has allies – including an important new one – the scope of the destruction and gang violence puts the Caped Crusader in a completely new situation, where the conflicts he faces are more confusing, ambiguous and bizarre than he had ever faced before. Batman’s new status quo came about in part because the character’s editors simply felt bored. After all the turmoil of Knightfall, Knightquest and Knightsend in 1993 and 1994, the Batman comics had settled into a predictable groove, but by 1998 the editors’ concern was that their own boredom would spill over to their readers. One of the reasons the changes seemed new to Batman was because of the new writers and artists who had never written Batman comics before. Besides the aforementioned Bob Gale, the screenwriter for Back to the Future, crime novelist Greg Rucka was brought on to write No Man’s Land’s third story arc. He would become a mainstay of the Batman books into the new millennium. Other writers new to the Batman line included Devin Grayson, Kelley Puckett, Larry Hama and Bronwyn Carlton. No Man’s Land is also significant for introducing a new version of a familiar hero. As the story arc begins, Helena Bertinelli abandons her Huntress identity to assume Barbara Gordon’s former alter ego of Batgirl. The change was short-lived, however, as in Legends of the Dark Knight #120 (Aug. 1999), an argument between Bertinelli and Batman leads to someone else donning the Batgirl costume. Her name is Cassandra Cain. Unable to read, talk or write, because of her assassin father’s uncaring approach to her, this silent Batgirl can only communicate through body language. With Barbara Gordon’s blessing, the new Batgirl helps Batman in the No Man’s Land fray. Afterward, DC provided her with her own ongoing title in 2000. For many fans, even more exciting than a new Batgirl was the insertion of a popular Batman: The Animated Series character into the DC comic universe. Harley Quinn first appeared in a 48-page one-shot written by BTAS writer Paul Dini and drawn by Yvel Guichet and Aaron Sowd. In Batman: Harley Quinn (Oct. 1999) psychologist Harleen Quinzel falls in love with the Joker while caring for him at Arkham Asylum. After being committed to the asylum herself, Quinn walks out when the earthquake hits Gotham. She then seeks out the Joker and happily teams up with him as he tries to carve out his own section of Gotham. Batman: Harley Quinn sold a solid 55,000 copies through Diamond. No man’s Land was a genius decision by DC at the time. For once, an editorial decision that upped everyone’s game. Some of the first work by Greg Rucka and Alex Maleev in Comics, and a Batgirl that was unique and mysterious. A Batman that had to dig deep and show the real hero under his costume. Every issue of the Batman books during this period was riveting and suspenseful. To hear Doug Moench’s complaints just confirms the need for the change, as his stories had grown tedious and boring. It was time for a change and DC delivered. One of the best large and dynamic Batman eras.